Direct selling continues to grow in popularity both within the United States and globally. According to the Direct Selling Association’s Growth and Outlook Report, direct selling accounted for nearly $35 billion in retail sales in 2017. Additionally, many direct sales companies have differing demand spikes based on promotional events throughout the year tailored to customer needs. And because direct sales relies on their salespeople drawing in additional representatives, a relatively small operation can grow exponentially overnight. Faced with these challenges, how can direct sales companies scale their fulfillment operations? Shifting to a best-of-breed warehouse management system (WMS) can help manage these transitions and increase warehouse efficiency so direct sales businesses are ready and able to scale with the sale. Maintaining efficient fulfillment operations and on-time delivery are critical for a burgeoning direct sales business. 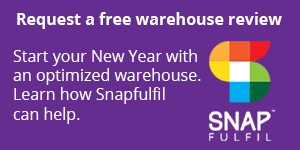 But bringing your fulfillment operations into the next stage with you means eliminating time-consuming manual processes in the warehouse. Shifting from spreadsheet and legacy system-based operations to a cloud-based WMS can dramatically increase picking, packing and shipping efficiencies to ensure your warehouse is able to deliver products on-time and accurately. With the proper technology, you can scale your in-house warehouse operations without outsourcing to a third-party logistics (3PL) provider, keeping you firmly in control of your customer experience. Upgrading to a best-of-breed WMS can also alleviate some of the heavy lifting often left to your fulfillment team. By providing the data that helps you develop product paths, cutting down the time it takes to pick, and serving as an extra pair of eyes during the packing process, your team is free to reallocate manpower away from rote processes. In addition, a WMS can integrate with your enterprise resource planning (ERP) system, providing real-time data to keep your accounting systems up to date. This is key for paying sales representatives based on an order ship confirmation – allowing you to more easily track and manage direct sales staff from your warehouse operations. As consumer demands for quick and accurate order fulfillment continue to skyrocket, your fulfillment operations can’t slow down. But you don’t have to sacrifice speed for accuracy. A WMS can get your warehouse operations near 100 percent inventory and order accuracy, ensuring you deliver the right product to the right person at the right time – keeping both sales representatives and customers satisfied. With the multi-level nature of the direct sales channel, accuracy and deeper visibility into inventory and fulfillment operations is imperative for efficient operations and brand satisfaction. With a WMS, you gain deeper insight into your operations, so you can provide accurate inventory forecasts to sales representatives. As direct sales continue to grow as a significant retail channel, a WMS can help your fulfillment operations prepare for and meet rapid growth head on. A best-of-breed solution can ease the transition from legacy, manual processes so your warehouse is ready for both expected and unexpected demand spikes without costly labor additions. With deeper visibility into fulfillment operations, you can better forecast inventory needs and offer comprehensive information to both sales representatives and customers – powering success for your direct sales operation, no matter the size.